Where are we from and how did we get here? Where are we going? Where and what is home? These seemingly esoteric questions are on the tips of our tongues and form the foundation of our modern discourses on place, planning, and even flows of capital. They frame my ongoing research into African American constructions of origins, home, and identity, and drive my work on diasporic African American communities and their grassroots approaches to preservation and planning. I study historic and contemporary spaces in which African Americans, involuntarily detached from their pre-New World pasts, built and are still building and seeking home, or what bell hooks called “homeplace.” Co-located with enclaves, homesteads, sacred sites, and natural landscapes, home is an aspiration both interruptive of and congruent with the so-called American dream for many. Homeplace is a location and a domain, as well as a set of social and political characteristics of neighborhoods, towns, settlements, and landscapes in which cultural sovereignty and self-determination is possible. I work to document African Americans’ frequently intangible, invisible, and at times unmapped constructions of homeplace, which are often sustained through traditions and networks even when the material evidence of place dissipates. This list is intended to challenge assumptions about the relationship between identity and space. Like Harvard GSD African American Student Union’s reading list for Places, “Black in Design,” I draw out some of the neglected contributions of the African diaspora to placemaking and planning practice. These readings explore diaspora on various scales and in the form of momentary assemblages, dormant networks, and cultural performance. Meant to bring attention to both thriving and disappearing places (and planning practices), the readings offer insight into African Americans’ constructions of free spaces or home. These free spaces are imaginary and aspirational: they are expressions of an ongoing struggle. Some of the articles contemplate a theoretical understanding of displacement or exile. Others see an identity of liberation produced through the diasporic condition for people of African descent around the world. The readings also reflect the ways these ideas intersect with politics and policy. Diasporic identity and sacred, sovereign space has been awakened in the popular consciousness by the Black Lives Matter Movement and the Native communities protesting the Dakota Access Pipeline. In each, they are continually reconstructing, reclaiming, and defining home. Studying the early 20th century movements for Black self-sufficiency helps us identify and understand diaspora as a set of associations that facilitate organizing, capacity building, and placemaking. In this essay, I posit that early African American mutual aid societies, comprised of rural sharecroppers in several states, built capacity around farming and financial literacy that in turn equipped former slaves to found viable towns and settlements. Social theorist bell hooks writes here about the limitations often placed on poor and working class Blacks’ ability to dream of the ideal space, whether it is a rural homestead or even a classroom. hooks describes these spaces as places fulfilling desire unfettered by external aesthetics. In this chapter, hooks calls for a new historiography of architecture that acknowledges Black cultural agency as informing a unique African American approach to making places. In this collection of essays, hooks critiques the cultural hegemony around Blackness and Black culture. Specifically, she exposes and reclaims the black agrarian past often overwhelmed by public memory that more commonly associates African Americans with urban centers. The city created community but was still imbued with loss, invisibility and alienation from one’s own community. hooks sees a possibility to remedy some of that estrangement via a return to more rural settings and nurturing forgotten, sometimes shameful legacies. Nora’s classic text on "lieux de mémoire," or sites of memory, is instructive for those working in African diasporic communities in which the classic evidence of place no longer remain. 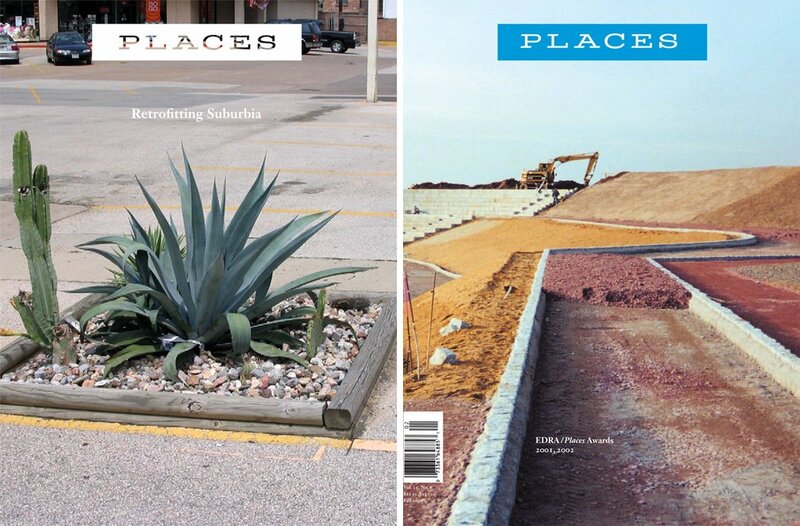 These are sites but not necessarily tangible environments of memory. This book defines the social, political, and cultural spaces that African Americans have managed to claim and protect in the face of cultural colonization, chattel slavery, Jim Crow segregation, and urban renewal. The book covers community building; intellectual and political spaces; segregated spaces; educational spaces; urban space and leisure; and churches and sacred spaces, and reflects the need for an expansive definition and critique of planning history as well as an interdisciplinary approach. It also emphasizes a multi-variant black subjectivity and consciousness that problematizes notions of Black collectivities predominated either by the assumed bond of being slave descendants or urban-centric African American planning history. Sitton and Conrad’s extensive historiography of scholarship on African American settlements in Texas explores the families, organizations, and political economies of these communities. The survival of these mini-civilizations through their rich social structures and self-organizing mechanisms such as mutual aid societies has been overshadowed by the assumption that African Americans had only two options post-emancipation: moving north for political asylum or sharecropping. The role of land ownership and autonomy figures prominently in the authors’ discussion of how African Americans organized politically as farmers, foreshadowing contemporary struggles around discrimination and black farmers’ access to credit. This article wrestles with the politics of working as a researcher within African and African American diasporic spaces. The four authors contemplate issues of Black Female reflexivity during ethnographic research, code switching, self-naming, and definition. They acknowledge the varied meanings of diaspora from epistemological and ontological perspectives; for example, they look at Blackness as performance and as an opportunistic characterization or shared bond, and factor in their respective personal experiences through story and literature. This consciousness of self, definitions of blackness, and outsider/insider status in the field is essential to understanding the black feminist ethnographer ontology. Mintz and Price skillfully explicate the making of African American place by situating it among a continuum of syncretized cultural expressions in the African American past. Creolization, particularly language, is essential to understanding cultural continuities and the "deep structure" that generates specific cultural patterns and grammatical principles that survived the Middle Passage and governed the selective adaptation of elements of both African and European culture. They emphasize examining institutions such as marriage, religious “cults,” ways that friendships are established, and economic relationships to identify cultural continuities. The late Richard Iton contemplated the challenge of African American settlement or finding home. African Americans are constantly escaping, fighting to enter a community, or being chased from their communities, problematizing authentic participation in American urbanization as a process of liberation. He calls this status one of “geoheterodoxy,” in which Blacks have the capacity to “imagine and operate simultaneously within, against, and outside the nation state.” He calls this imaginary of free agency “anarchistic,” as it is a positionality that never makes a definitive commitment to the state’s constructions of home, places, or citizenship. Emerging histories of the various waves and subregions of the Great Migration problematize our assumptions about origins, flows, and concentrations of African American settlement. Bernadette Pruitt maintains that migrations of Texans of African descent to large cities like Houston were more common than the mass exoduses out of other southern states to distant northern cities. Thus, economic and social ties to freedom colonies as homeplace were maintained between rural areas in cities like Beaumont or Dallas. Another origin of African American settlement is rooted in the safe spaces created by maroons or fugitive slaves in the borderlands surrounding plantations. These communities, in wooded and wilderness areas, were ubiquitous and were precursors to the secluded, diasporic homeplaces founded shortly after the Civil War. This recent article explores maroon or fugitive slave communities in Virginia and North Carolina. McCoy contemplates the construction of time in these films, describing in “Daughters of the Dust" a “diasporic notion of time, one that is a fusion of African cyclical time and the disruption of this cycle forced by the Middle Passage. The impetus here is to defy Western temporal notions of time; time becomes a means to challenge Western attempts to disfigure Diaspora culture.” The surreal spatial narrative of the film illuminates the ways that descendants of the African diaspora use storytelling to situate the voices of those on the margins of place making and preservation at the center of origin stories. Existing in what McCoy calls “limbo time,” the film captures a moment and a place that syncretize memories of African spirituality with experiences of South Carolinia Christianity.